A-line wedding dress with the lace-up back. The main raw materials are: satin royal, satin lining, taffeta, thin lace, chiffon. 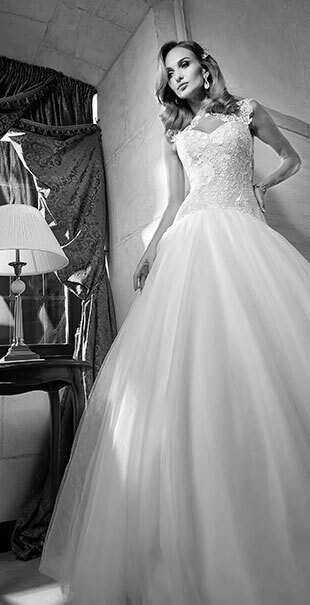 This elegant dress, with its simplicity and tenderness will create an elegant image of the bride. The corset looks very stylish. It has a color of naked body. It is covered with beautiful lace. Big applications focus attention and create 3D effect. The skirt of this dress is very light and it has two layers of multi-chiffon. Under it there is a satin mini-skirt which makes the dress comfortable.